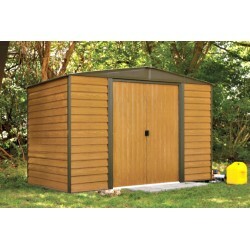 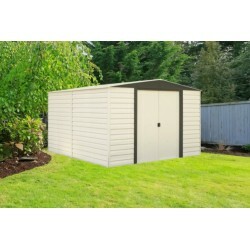 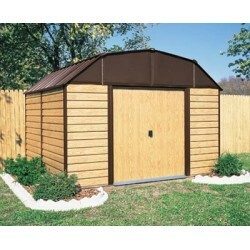 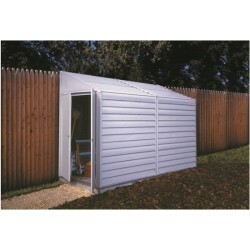 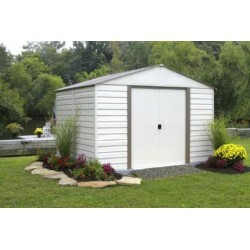 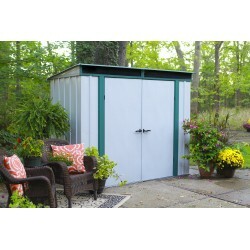 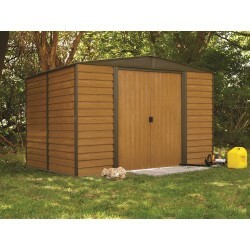 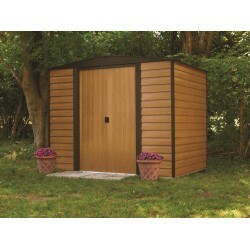 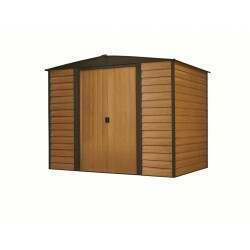 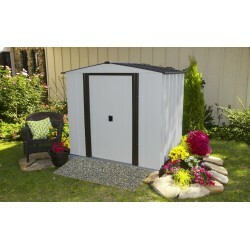 The 7'x2' Storage Locker from Arrow give you storage where you need it most-- backyard, patio or deck. 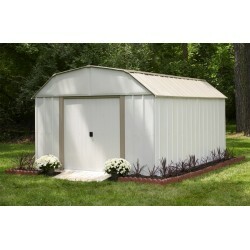 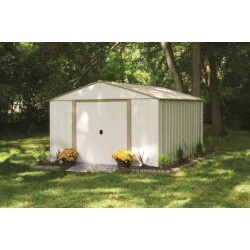 Conveniently sized, this steel building provides 95 cubic ft. of space. 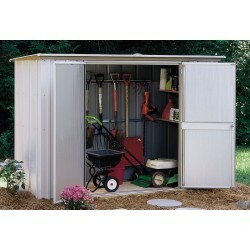 The Storage Locker includes 4 wide 35 3/4" shelves and a handy tool hanger rack for long handle and small hand tools. 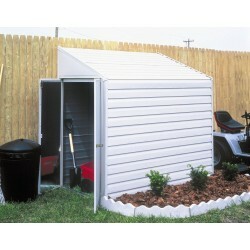 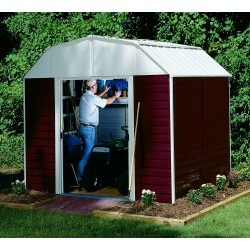 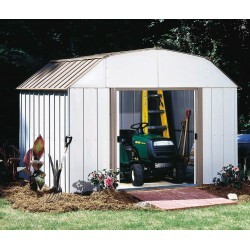 A lean-to design allows placement against any outside wall. 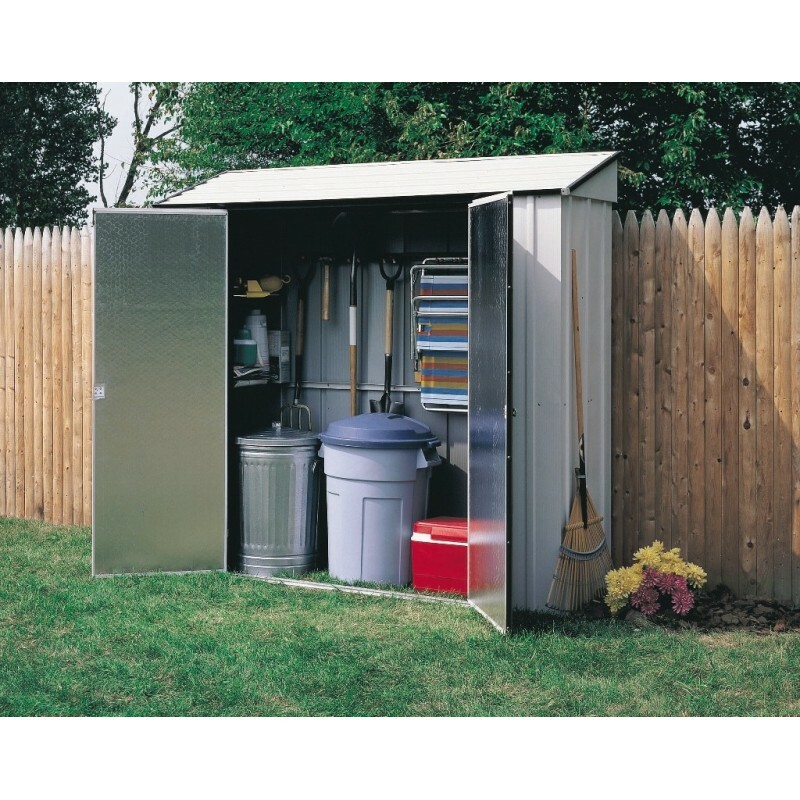 This four-sided unit has core-backed swing open doors for fast access to stored lawn and garden tools, folding chairs and more! 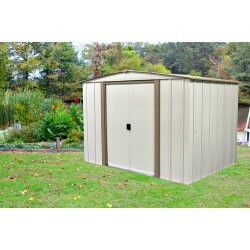 Parts are pre cut and pre drilled for faster assembly. 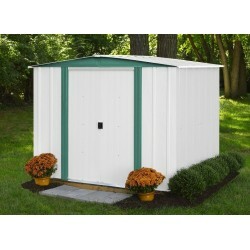 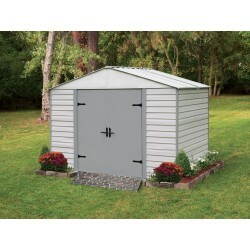 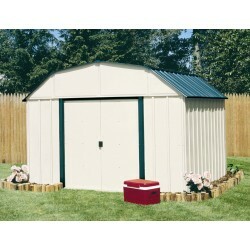 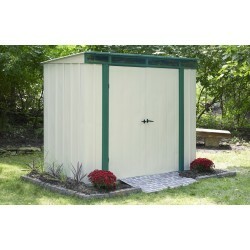 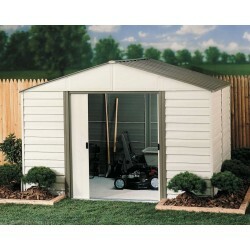 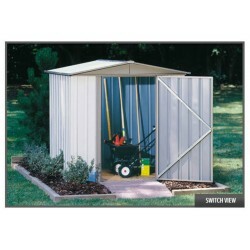 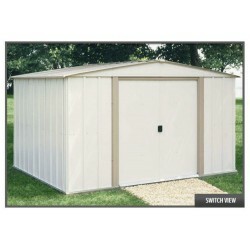 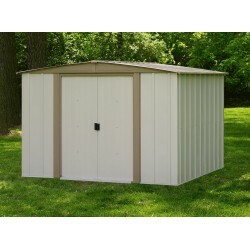 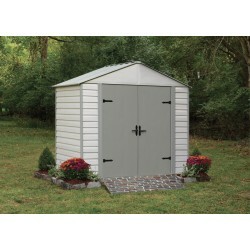 Durable galvanized steel parts are backed by a 12 year limited warranty.